Moringa oleifera - flowers and leaves. 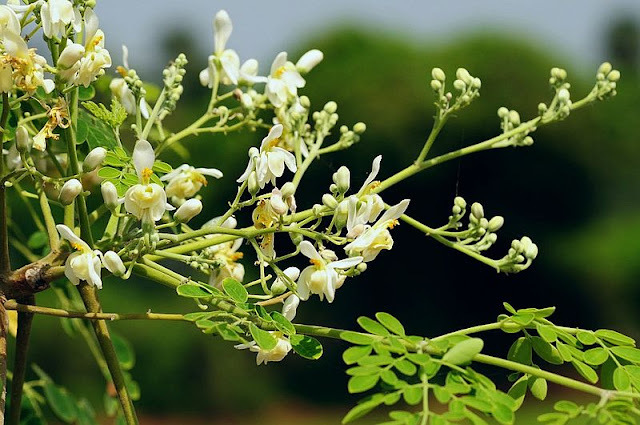 Moringa oleifera, better known as "murungai" in Malayalam language in which it grows is another plant that is an important food source to local communities. Although it is more popular among the people of India, but if you recognize it, you may also be interested to try the vegetables of leaf or its fruit. 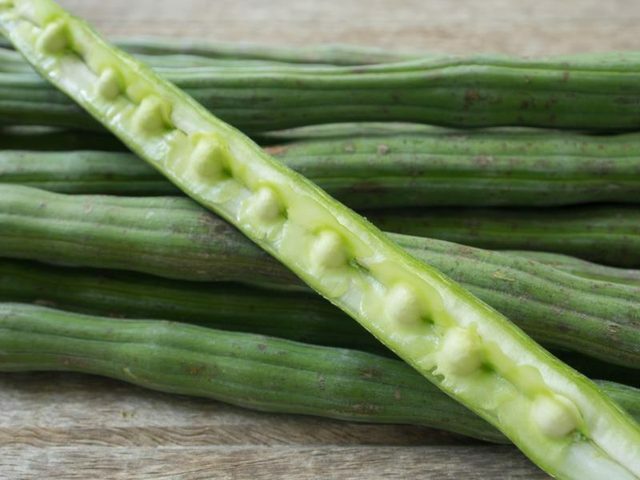 Also known as “Kelo Beans” it has different names on wherever it grows as it is an important food source. 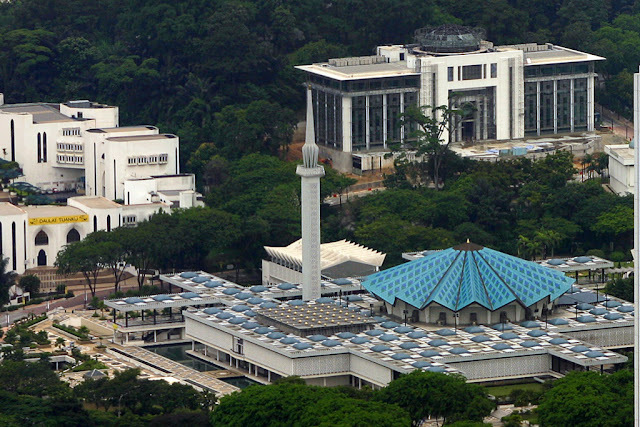 So it has more than 400 names throughout the world. The point that is easily cultivated and weather resistance makes it suitable as a plant either for decorative purposes, or simply shading or avoidance of erosion. 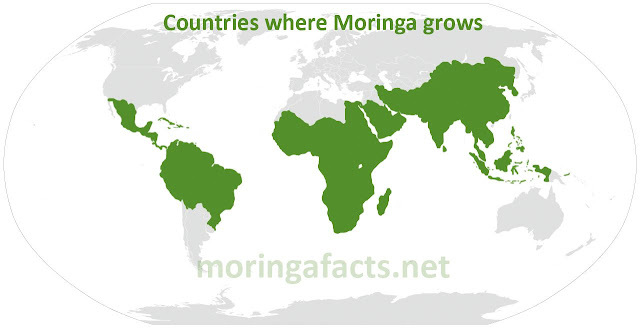 However, moringa oleifera grown in areas where people in needs of food source for the healthy benefits, and indeed this plant has properties that are very much needed. It can be grown to form a fence around the house. It contains 7 times more Vitamin C than an orange. It contains 4 times more vitamin A than carrots (carrots). It contains 4 times more calcium than cow's milk. It contains 3 times more potassium than bananas. It contains 2 times the protein than yogurt. Of course it also contains more nutrients for health benefits. Although it is not considered as a 'magic' plant, but as a source of food in areas where it is grown, it’s able to supply the nourishment requires. The trees size are not too big that make it easy to care. Beans of moringa sold in the market. The parts of this plant are used as feed leaves and fruit. Each community has their methods of preparing food from the leaves and the fruit. For example in India it is used in curries as bean ‘dal’, or as part of mixed together with ‘dal’. In Myanmar also it is used in cooking the gravy like soup known as "dunt-Dalun chin-Yei", using the fruit. The fruit is also popular as food in other countries such as Indonesia, Philippines, Thailand and Cambodia. Even in other countries it is also used as food. In addition to the food, the fruit is also used to produce oil known as "ben oil", which was once used as a base in the perfume manufacture process. This oil is used not only because it does not have a strong odor, but can be stored for a long period. Moringa seed cake, a byproduct from the extraction of this fruit can still be used for purposes other than treating the water or fertilizer. Husks from the seeds helped impurities in the water to clump together and facilitate the screening process or in the form of sludge. Dishes "dunt-Dalun chin-Yei" of Myanmar. Another dishes used the leaves of moringa. The trees also sometimes planted for avoiding erosion like in Haiti. While in Taiwan it's also grown in the World Vegetable Center, as the study of the plants used for food. While the population in Odisha in South India, this plant is grown as fence, while also providing a source of food. So now we know how special this plant is. If you have a house that can still be planted with trees, maybe you can plant it with these trees. 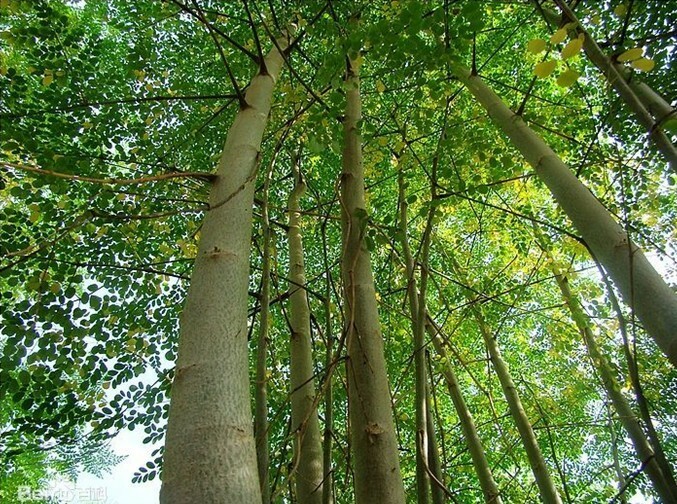 This is because there are many other advantages of this tree that cannot be listed here. So if you are interested more about it, you can find out for yourself through the internet, or you can ask any questions for discussion in the next articles.